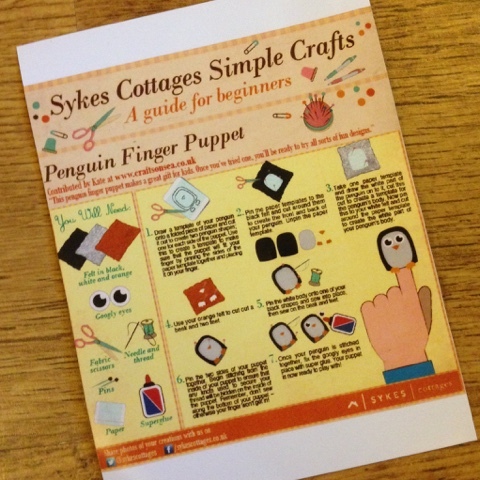 We were sent this fab crafting kit from Sykes Cottages and asked to make a penguin finger puppet from one of their simple craft guides. It arrived a day before we were headed off on a trip for a week, so it seemed a perfect time to take it with us so we could make it when we were away. I cut out the felt in preparation for T to glue it together, the guide recommends sewing but T is too young for needles so I thought I'd sew it after the glue had dried but it held so well I didn't bother. T loved glueing his penguin together, we had visited the penguins earlier in the day so it was lovely to keep up the theme by making these before bed. 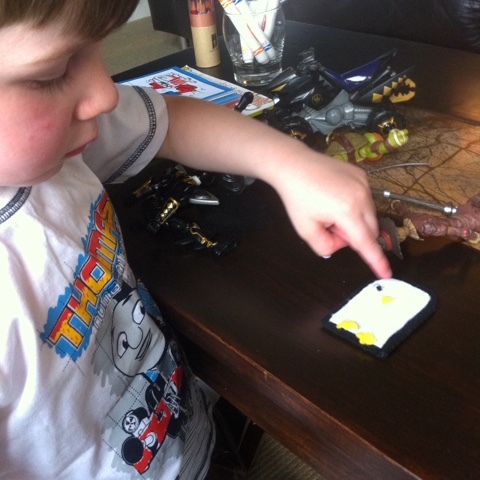 He carefully left it out to dry and we had lots of fun playing with it he next day. We had such a lovely time making this craft and it was just perfect for a little wind down activity before bed after a busy day at a zoo. 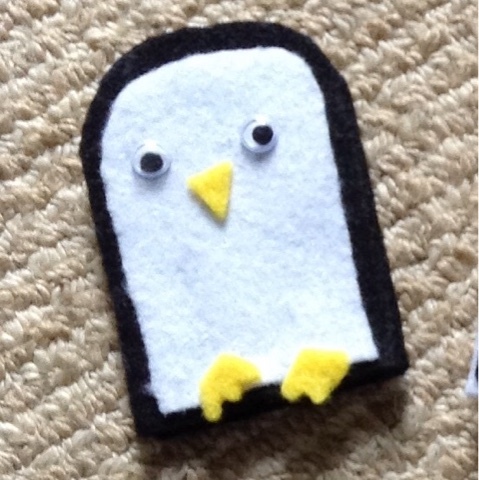 We were inspired to make more finger puppets from felt which we will be showing you soon, and I tried out one of Sykes cottages craft guides so I'll be showing you that too shortly. 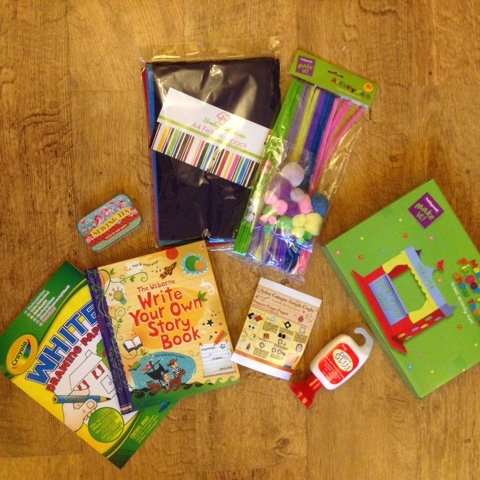 Disclaimer: we were sent this craft pack by Sykes Cottages in return for trying out the penguin craft guide and providing this honest review. What an adorable craft! Fun that you did it after seeing penguins! I'm thinking a similar craft would be fun for my boys after a trip to the zoo! What a great idea! I have bookmarked this to use with my grandchildren and shared it out socially. Thanks for sharing. That penguin is so cute! Finger puppets are good fun to make and can inspire so much imaginary play. What fun! I'm a huge fan of felt for children' crafts. No hemming! Thanks for linking with #TwinklyTuesday.